How to Use a DSLR Camera will guide you to take pictures that are quite good using the automatic settings; however, manual settings allow you to get even better results provided that you know the functions such as priority modes like shutter priority,; basics like aperture and depth of field. We will try to explain these in practical camera in this How to Use a DSLR Camera guide and we will use a reference of a typical professional DSLR camera. The explanations provided the high-end models of Canon EOS camera, but the concepts can be applied to all DSLR cameras. So, let us see how to use a DSLR and whether it is easy or tough – that can be useful for the would be buyers. The purpose of the photographer is properly expose the sensor to the right amount of light. Any camera adjusts the amount of light reaching the sensor or film through the exposure time or time of shutter opening, and the opening of the diaphragm, a sort of “pupil” contained within the lens that can be opened or closed to allow the passage of more or less light. Imagine you have a glass of water to fill to the brim. In this example, the water is equivalent to the light, the time to hold the tap corresponds to the shutter speed and the opening of the faucet is equivalent to aperture. It is intuitive that you can get the same fill, i.e. the same exposure, both with short and wide openings which is vice versa, with long times and smaller openings. In both cases, the photo will be properly exposed, that is rich in detail both in the lighter areas and darker areas, but the end result will be very different. Timing and diaphragm affect two fundamental aspects of photography, that is the portion of the image that will be in focus (the so-called depth of field). The photographer’s work is choosing among the many possibilities, aperture-coupled time that best suits the purpose. The extension of this scale depends on the camera you use, there are models that reach 30/2 at one end of the scale, 1/8000 of a second at the other end, but those listed here are common to almost all cameras. In comparing the effects of a slow shutter speed and short eposure. Notice by taking pictures yourself, how with time short, there are distinguishable individual splashes of water gives a completely different effect in our tap-glass model envisioned above. The choice of time is linked to the concept of movement of the subject. In general, is undesirable, so it will be necessary to use a time short enough to “freeze the movement”, i.e. a period of time during which the subject does not move appreciably. To give some examples, with 1/125, is standard for photographing non moving people and groups, with 1/250 you can shoot moving subjects, such as a model that moves, 1/500 is just for people like children playing, while with 1/1000 you can take pictures of sporting events. Shorter times are strictly necessary, in very rare cases, for example in the case of very fast objects that move perpendicularly to the observer, but may of course be used to obtain the correct opening of the diaphragm (always remember that adjustment is a two-parameter). Longer times can be always used, but they require more and more attention. The aperture is not measured in millimeters, as it would seem obvious, but by the dimensionless number “f”, given by the ratio between the focal length of the lens used, expressed in mm and the diameter of the diaphragm, always in mm. This apparent complication is justified by the fact that, in this way, it eliminates the uncomfortable dependence between the light passing through a lens and its physical dimensions. Thus, at a given value of “f” is always the same amount of light, which uses a wide angle or a telephoto lens. Note that, since the diameter at the denominator is the fraction, high “f” high corresponds to small openings and therefore a reduced amount of light that reaches the sensor. These values, apparently strange, were chosen in such a way that, passing from one to another at constant exposure time, the light that reaches the sensor doubles or halves. For example, with the pair 125 – f / 8 will pass half of the light that passes with the pair 125 – f/5.6. The extension of this scale depends on the the lens used. Wider opening, that is the lowest number of “f”, is very important. 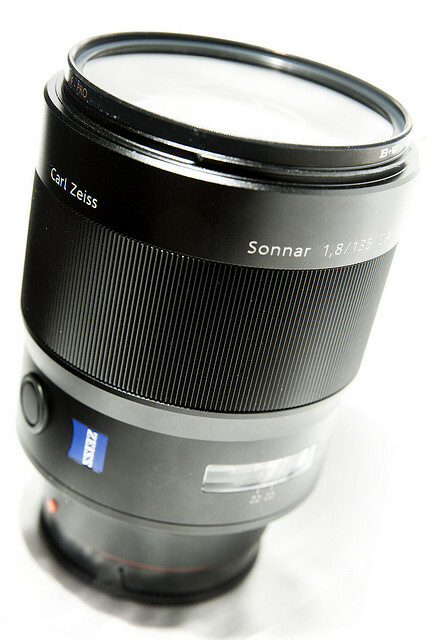 A very bright lens will allow you to take pictures even in dim lighting and is therefore more valuable. Unfortunately, this value you can pay very expensive : for example, a 300mm f / 4 typically costs less than $2000, while a 300mm f/2.8 the same manufacturer and of the same quality comes to $6000 or more. These are the basics, we obviously have not mentioned the settings of metering and other points to make a compact and easy to read guide for better understanding by the beginners. This Article Has Been Shared 8888 Times! Cite this article as: Abhishek Ghosh, "How to Use a DSLR Camera : Guide That Works," in The Customize Windows, March 24, 2013, April 21, 2019, https://thecustomizewindows.com/2013/03/how-to-use-a-dslr-camera-guide-that-works/.